A good set of speakers is key to getting the most out of your audio system. Because of their importance, many argue that speakers should account for half of what you spend on your complete audio system. Shown above (left to right), a Yamaha floor speaker, a Canton center channel speaker, a Sonance sub-woofer. Floor-Standing /Tower Speakers (full-range) - usually 3 to 4 feet high. Can be used as front speakers in a surround system. Set the standard for efficiently filling a room with sound. 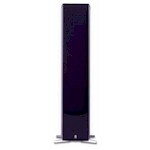 Bookshelf (full-range) - weaker in the lower range than floor-standing speakers. Ideal for applications where space is limited. Can be 4 inches to 24 inches tall. 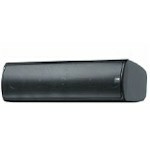 Can be used as front speakers in a surround system. Center Channel (mid-range) - designed to carry dialog or vocals. Usually flat and wide, usually place above or below a TV. 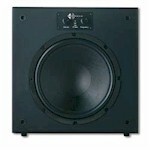 Rear Surround (full range) - usually used for background sounds in a surround system. usually small speakers. Sub-Woofers (low range) - designed to carry the very low frequencies. They are usually large (18inches cubes or larger) and placed on the floor. Their sound fills a room easily so the can be hidden out of sight without compromising their effect. Most sub-woofers are powered, meaning that they have a built in amplified which allow you to adjust the upper frequency limit so that you can better fit the sub-woofer into you existing speaker system. In-Wall Speakers (full range) - weaker in the lower range than floor-standing speakers. Can integrate into your living space seamlessly. Outdoor (full range) - typically bookshelf type speakers with weather resistant casing. Range - speakers are defined by the range of sound that they can produce (the full range is from 20 to 20,000 hertz). Connectors - most low-end speakers use spring clips, higher end speakers may use a system called biwire. However, sound quality is not significantly effected by the connector type. Number of Cones - Speakers come in three types: 1) one-way - woofer only, 2) two-way - woofer and tweeter, and 3) three-way - woofer (low-range), mid-range and tweeter (high-range). Most speakers are two-way. It is difficult to get three-way speakers to work together correctly - avoid inexpensive three-way speakers. Cabinet Design - should be solid and internally dampened to reduce interference from sound bouncing around inside the cabinet. Most cabinets are wood or fiberboard. Avoid plastic cabinets. Impedance - most speakers will give specifications on their current resistance, e.g. 6 ohms, 8 ohms. This measure means little now as most receivers are designed to work well with a range of speaker impedances. Listen to the speakers in the store with your own music. Pay attention to the full range of frequencies. If possible test the speakers out at home. The sound will be different than in the store due to the shape of your room, the reflective qualities of your walls, floors, ceiling and furniture.